Hyundai Motorsport concluded a tough Rallye Monte Carlo with one of its crews inside the top-five overall and some strong results during the event. With Dani Sordo forced to retire after an off-stage excursion on Saturday, and no opportunity to make use of Rally 2, the Hyundai team was left with two cars remaining for the final day. Thierry Neuville and Andreas Mikkelsen were both aiming to finish the rally in a positive manner after experiencing their own issues during the course of the Monte Carlo weekend. The Belgian, along with co-driver Nicolas Gilsoul, had already fought back to seventh overall by Saturday evening. 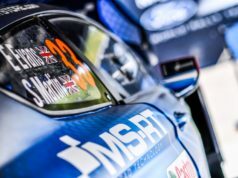 But his performances on Sunday morning saw him embroiled in a close battle with Citroen’s Kris Meeke and M-Sport’s Elfyn Evans. Just 8.4-seconds split the trio heading into the Power Stage. Neuville moved ahead of Evans by 1.0s. It was ultimately misfortune for Esapekka Lappi that helped move the #5 crew into fifth behind Power Stage winner Meeke. 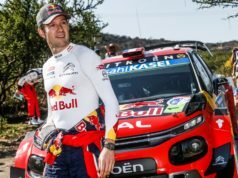 Mikkelsen had already re-started under Rally 2 on Saturday and had his sights set on a strong Power Stage performance. The Norwegian opted for five soft tyres for the final four stages, with no mid-morning service or tyre-fitting zone. His pace was compromised on the icy run up to Col de Turini. But he ran strongly in SS15 to support a Hyundai Motorsport 1-2 in stage and then third in the Power Stage itself. 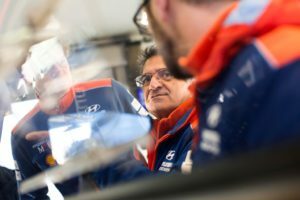 For Hyundai Motorsport, the overall result represents a less than satisfactory end to the first round of 2018. Still, the potential of the i20 Coupe WRC against an impressively competitive field gives the team optimism for the season ahead. “We have had some improved stage results and a strong Power Stage run from Thierry and Andreas. But we can only really look back on this weekend as a rally of disappointment”, team principal Michel Nandan commented.